The greens are winds toward the radar and the reds are winds away from the radar. Before the work of Dr. Ted Fujita and Dr. John McCarthy (TDWR), this type of storm posed a mortal danger to commercial airliners. Because of their courageous work, we have not had a U.S. airliner crash in a downburst since 1994. It was once the #1 cause of airline crashes. Hundreds owe their lives to their work. Want to see how the downburst developed? Here is a quick video I made of the storm. You can see the winds hit the ground then spread out of town. 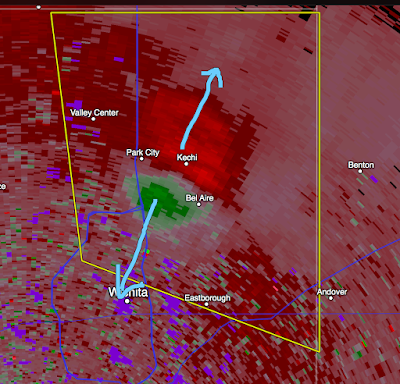 That is the signature of a downburst on radar. We also had 1" hail at the Smith House from about 1:20 to 1:23pm. 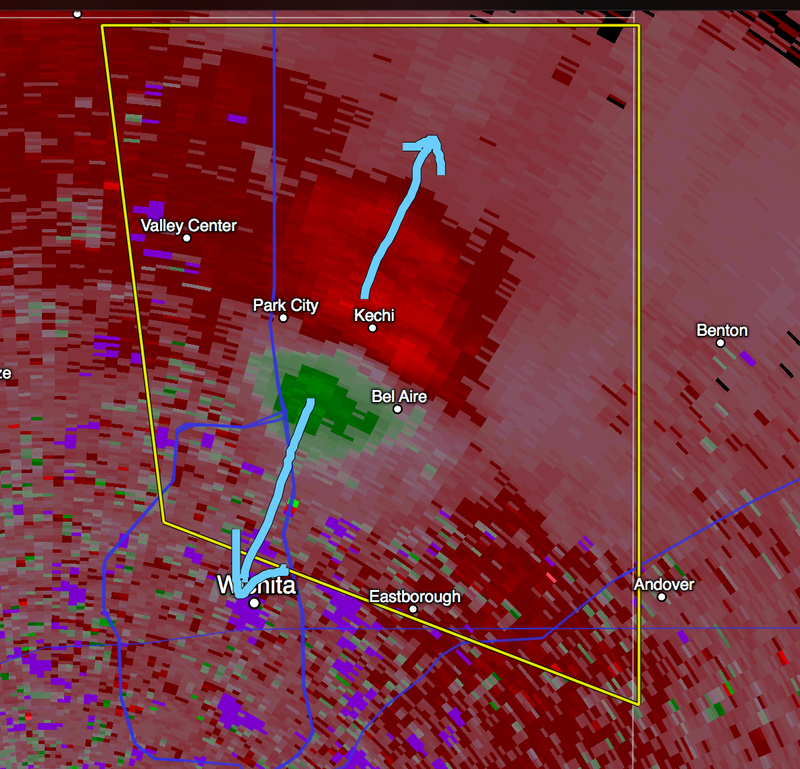 I thought a tornado on radar looking at it in base velocity would look similar?